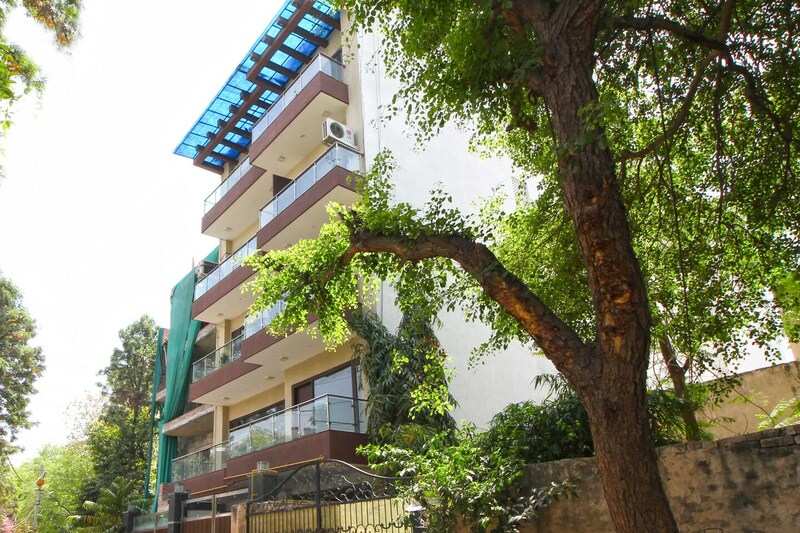 Home Stay Vasant Kunj is a tasteful and modern property with bright interiors, located in Shanti Kunj, Delhi. It is close to D3 Bus Stop and Sultanpur Metro Station. The home stay has a beautiful living and dining space with neat wooden furniture, vibrant bean bags and lovely paintings. The rooms are spacious, bright and trendy. The bathrooms are stylishly tiled and fitted with the latest amenities. Each room comes with TV, AC, free Wi-Fi, seating area, heater, and the bathrooms have geysers. The property also offers an elevator, power backup, card payment system, parking, and has CCTVs installed for security. Beijing Street, Flaming Chilli Pepper, and The Village Cafe are some restaurants near the property.